Dude. The only way I can ever get that much money is if I win the lottery, rob a bank or sell my body 663,000 times. 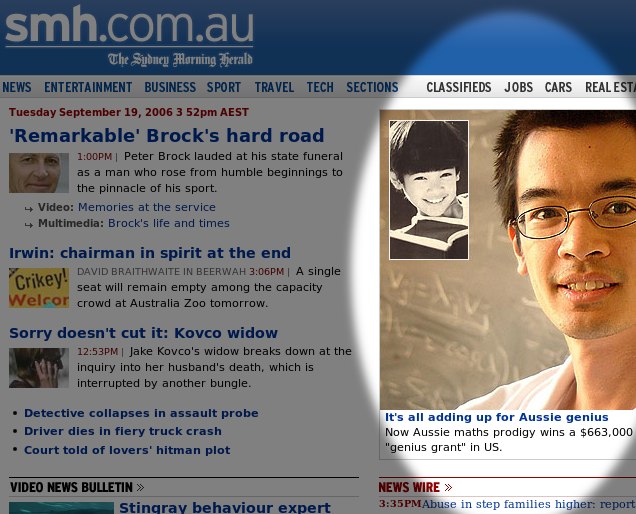 Now I’m going to the smh website to read about the ‘Slummy Mummy’ story – surely that should have been number two. What’s a genius with a bajillion dollars to do?